Welcome to SWIFTYSPADE. Please review the following basic terms that govern your use of, and purchase of, products from our Site. Please note that your use of our Site constitutes your agreement to follow and be bound by those terms (the "Agreement"). Swiftyspade respects our customers' account information as private and confidential information and will never share this with any outside affiliations or individuals. Your information (we don't store your full credit card number) is secured and encrypted with the Secure Socket Layer Software via PayPal. Purchased items will be shipped within 7 business days of the order, although most will be within 3 to 4. Please allow up to 2 weeks for delivery to arrive. If you still have not received your purchase after 3 weeks, please notify sales@swiftyspade.com. Buyer assumes any and all duties and customs costs for orders shipping outside of the U.S. and will be contacted in advance should additional charges need to be made. Swiftyspade is not responsible for any lost, stolen or damaged shipments. All domestic shipments are sent with a delivery confirmation and the buyer assumes all responsibilities of lost items. Display price "DOES NOT" include charges for shipping and handling or taxes, if delivered to customers within the United States. For customers outside the United States, additional charges may apply. Please email sales@swiftyspade.com if this is the case. Due to limited stock of products, returns are NOT accepted. Unless the item is faulty and then can be reutrned and refunded prior to inspection. The item(s) must be returned in full with tags unremoved. Buyer is responsible for return shipping costs. Unless otherwise noted, all materials, including images, illustrations, designs, icons, photographs, video clips, and written and other materials that appear as part of this Site (collectively, the "Contents") are copyrights, trademarks, trade dress and/or other intellectual properties owned, controlled or licensed by SWIFTYSPADE. The Site as a whole is protected by copyright and trade dress, all worldwide rights, titles and interests in and to which are owned by SWIFTYSPADE. All comments, feedback, postcards, suggestions, ideas, and other submissions disclosed, submitted or offered to SWIFTYSPADE on or by this Site or otherwise disclosed, submitted or offered in connection with your use of this Site (collectively, "Comments") shall be and remain SWIFTYSPADE property. Such disclosure, submission or offer of any Comments shall constitute an assignment to SWIFTYSPADE of all worldwide rights, titles and interests in all copyrights and other intellectual properties in the Comments. Thus, SWIFTYSPADE will own exclusively all such rights, titles and interests and shall not be limited in any way in its use, commercial or otherwise, of any Comments. SWIFTYSPADE is and shall be under no obligation (1) to maintain any Comments in confidence; (2) to pay to user any compensation for any Comments; or (3) to respond to any user Comments. You agree that SWIFTYSPADE may use and/or disclose information about your demographics and use of the Site in any manner that does not reveal your identity. By participating in Site sweepstakes, contests, promotions, and/or requesting promotional information or product updates, you agree that SWIFTYSPADE may use your information for marketing and promotional purposes. You agree that SWIFTYSPADE may send electronic mail to you for the purpose of advising you of changes or additions to this Site, about any of SWIFTYSPADE products or services, or for such other purpose(s) as SWIFTYSPADE deems appropriate. From time to time there may be information on SWIFTYSPADE that contains typographical errors, inaccuracies, or omissions that may relate to product descriptions, pricing, and availability. We reserve the right to correct any errors, inaccuracies or omissions and to change or update information at any time without prior notice (including after you have submitted your order). We apologize for any inconvenience this may cause you. If you are not completely satisfied with your SWIFTYSPADE purchase you may exchange it with your invoice to SWIFTYSPADE by mail. Please see our Return Policy. 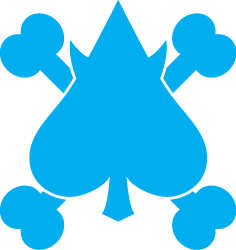 Unless otherwise specified and except to the extent SWIFTYSPADE products are offered for sale in the United States through this Site, this Site and the Contents thereof are displayed solely for the purpose of promoting SWIFTYSPADE products and services available in the United States and select foreign markets. This Site is controlled and operated by SWIFTYSPADE from its office in Illinois. This Agreement shall be construed in accordance with the laws of the State of Illinois, without regard to any conflict of law provisions. Any dispute arising under this Agreement shall be resolved exclusively by the state and federal courts of the SWIFTYSPADE.